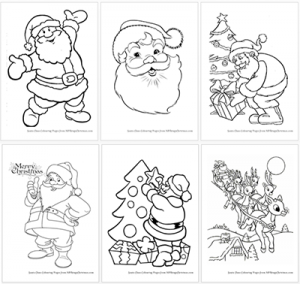 Below, we offer six fantastic printable Santa Claus themed coloring sheets for you to print and color. 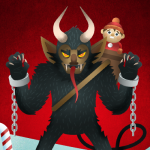 What’s more fun that celebrating this time of year with Jolly Old St. Nicholas himself? Once downloaded you can use this file to print as many sheets as you like. A fantastic party game for kids Christmas Parties or anytime during the holiday season! 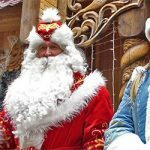 Read more about Santa Claus on our Ultimate Guide to Santa Claus, including his multiple names around the world, history, origin and other traditions associated with Saint Nick! We have several other free Printables, check our Free Downloads section for more.